Peat & Pearls Florida — now in its second year — will showcase premium oysters from across the Gulf Coast, prepared by some of the South’s hottest chefs & paired with whiskeys from the Glenfiddich portfolio. The event will play out Oct. 4-7, 2018, in the picturesque, colonial-era seaport of Pensacola — a three-hour drive from New Orleans & just 15 minutes from the sugar-white beaches & turquoise water of the Gulf of Mexico. We will be bringing our full model range of vehicles along with our Brand Ambassadors. 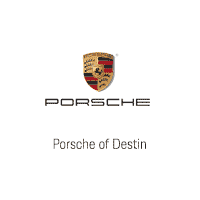 Register to win two all-access passes of the 2018 event, a four-night stay in downtown Pensacola and a brand-new Porsche for the weekend. For more information and updates follow the event on Facebook.